A happy group of Reiki II’s in Perth are still savouring the benefits of their recent five days Reiki II Retreat. This has been the fourth year in a row that the group have booked a residential retreat, and there is already another scheduled for next year. The venue is a wonderful holiday homestead called ‘Avalon’, which enjoys an elevated position amid the rolling hills of the Avon Valley an hour and a half out of Perth and just outside the township of Toodyay. On this occasion there were eighteen in the group: each participant had one hour on the table for four consecutive days with the others hands-on. The structure of the Retreat allowed some free time in the afternoon and there was an evening program after dinner each night. A new experience for many of the participants was a celebration of an 'Agnihotra Fire Ritual’ at sunset on one evening and sunrise the next day. Evening events also included drumming and sound bowl (John and Penny Whife), and a 'Ghandarva Experience' (with Tom Kenyon). On the last night, a ‘Christmas in July’ meal was followed by a participants’ performance, which was the highlight of the Retreat. Super Nanny was invited to do her thing but was outshone by Super Santa, who saved the night. Laughter and fun went long into the evening, which was topped off with an exchange of ‘Christmas’ gifts in a most unusual way. When I broke the soft stem of a house plant, I aligned its two halves and using a splint for support, wrapped the area with cellophane. I then gave rei-ki by cupping my hands over it for a good ten minutes. The 'wound' healed and the stem is still growing! On another occasion, I broke the main stem of a young balsam plant when it was only about 15cm tall. Again, I followed the same method with splinting and rei-ki, and the plant has grown into a bush and given me many flowers for a long, long time. Around the world, rei-ki co-ordinators, practitioners and prospective students in each Usui Rei-ki Network centre constantly hear of competing claims made for various forms of teaching and practicing rei-ki. Just as unwary purchasers seeking the highest quality timepiece in a rolex watch (backed by decades, indeed centuries of research and quality control in time-keeping and watchmaking) can be misled by spurious imitators, so unfortunately it is these days with rei-ki. First there is the hands-on method which, along traditional lines, we term Rei-ki I (which within the Usui Reiki Network International is taught over a 20 hour, three day weekend program). This involves four energy transfers - ceremonial procedures involving direct contact individually between teacher and student, several hours apart, followed by hands-on practice and feedback. There is training in the techniques for first aid and for formal regenerative treatment as well as self help procedures. There are hours of practice and progressive discernment in energy variances and responses throughout the course. Secondly there is the Advanced Level or Rei-ki II, also an 18 - 20 hour training program over a weekend or three evenings, including homework, which empowers students to work with the healing energy of rei-ki hands-on more intensely than in Rei-ki I, and also to transmit energy over distance - across the room or across the world, with equal potential for regeneration and first aid in emergency conditions. This course also potentiates the further development of telepathic gifts in various ways, according to the innate faculties of the participant. It is required that those who progress to the Advanced Level in Rei-ki review Rei-ki I at least once, and preferably more often, as there is a more subtle understanding which develops in the application of Rei-ki in the context of the Advanced Level. There are two energy transfer procedures, teacher to student, in Rei-ki II. Training to teach is a lengthy apprenticeship over many years, followed by a period of probation before certification. 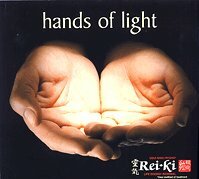 Teachers trained within the Rei-ki Training Academy sponsored by the Usui Reiki Network are licensed to teach rei-ki, which is a renewable permit and which can be revoked. Only those teachers currently acknowledged in our literature and newsletter, and on the Usui Reiki Network website, are licensed to teach rei-ki according to the entire tradition laid down by Rev Beth Gray, in obedience to the directives of Hawayo Takata of Hawaii and her mentors Dr Chujiro Hayashi of Tokyo and Dr Mikao Usui of Kyoto Japan, over the last 100 years. Our teachers do not claim to have more healing 'power' than their graduates - the prowess is in the knowledge, technique and wisdom of the teaching method. 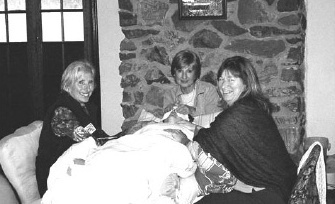 As the articles in the Newsletter demonstrate, and as participants in our seminars, reunions and retreats witness, there is a heightened experience of spiritual awareness which develops in the pure practice of rei-ki, which ultimately transcends ego and which strengthens the 'observer' self, devoid of delusion or illusion. Thus any tendency to be gullible is tested and objective truth ultimately surfaces. Rei-ki healing affects not only physical imbalances but also emotional, mental and spiritual clarity. Rei-ki will teach discernment and pragmatism, as well as trust and idealism. * Barbara McGregor is qualified as a Workplace Trainer and Assessor (Certificate IV) under the Australian National Training Authority. One night I had a telephone call from a friend who lives interstate. She had felt unwell for some time, with symptoms of nausea, pain in the stomach and pelvic area, and bloating. As I have learned to practice rei-ki at the Advanced level, she requested that I send her rei-ki over distance. She went to bed, far away, and I commenced sending rei-ki II, starting over the stomach area. I was prompted to say out loud “Let go ... just relax now ... relax…and let go”. Then I moved my hands to other problem areas and when my hands stopped vibrating and the heat sensation had gone, I finished the rei-ki session, which had lasted about three-quarters of an hour. When my friend rang the next evening, she said that at the time I was sending rei-ki she was lying in her bed, when she felt intense heat in her stomach area and it seemed she could hear the words “let go ... just relax now ... relax and let go”. We found this telepathic confirmation truly remarkable. She said that afterwards she went into a deep sleep and awoke about 3.00 am with pains in her stomach and intestines; then she passed a lot of wind and had to rush to the toilet. Then she went back to sleep for several hours and when she awoke, she felt better than she had for a long time, with no nausea.